Selected presenter: Fifth International Fascia Research Conference in Berlin, Germany 2018. Co-instructed with world-renowned anatomist Tom Myers of Anatomy Trains in Seattle. I have been practicing Occupational Therapy in Seattle for 27 years. I have always had a natural affinity for health, musculoskeletal anatomy, and wellness through a holistic approach. Drawing from both worlds of conventional western medicine and complimentary approaches, I integrate them both into treatment. I pride myself in guiding patients through their injury process and helping them to understand how their recovery may be impacted by nutrition, exercise, stress, awareness of one’s breath and overall life satisfaction. I graduated from University of Washington’s Occupational Therapy program in 1991 and returned to UW in 1999 to complete an Advanced Master’s of Occupational Therapy with an emphasis in Upper Extremity Cumulative Trauma in Individuals with Spinal Cord Injury. I went on to complete a 4 year Structural Medicine training through the Institute of Structural Medicine. This has positively impacted how I view the human structure and anatomy. ​I’m fortunate to have had the opportunity to live and work in Nepal and Japan, and am intrigued by diversity of all sorts, be it cultural, ethnic, socioeconomic, etc.. Much of my professional career has been at Harborview Medical Center, Seattle’s Level I Trauma Hospital, where a unique diversity thrives. I enjoy teaching and public speaking at the state, national and international level and am passionate about educating our community (health care providers as well as patients) about health and well being. I enjoy organic gardening, mountaineering, pottery, holistic nutrition, and exploring the Pacific Northwest’s alpine wilderness. I acquired my Bachelor of Science in Biology (with an emphasis on Physiology) and Master of Occupational Therapy from the University of Washington. I am specialized in Structural Medicine (a four-year Structural Integration training program) and have used that knowledge to create self-release techniques. I am also a Bowen Therapy practitioner and am trained in Kinesiotaping methods. I have had the opportunity to advance my Bowen Therapy knowledge with international instructors to focus on multiple assessment techniques, TMJ treatment, spinal treatment, pelvic alignment, scar tissue release and other treatment methods. In particular, I have trained with the following international Bowen instructors: Graham Pennington, Ron Phelan, Alistair McLoughlin, Margaret Spicer and Anne Schubert. When addressing an issue (injury, pain, etc. ), I strive to improve symptoms primarily through changing myofascial holding patterns and habits of movement. This change in holding patterns of the body can literally be viewed as “molding” the body into a more optimal structure for improved range of motion, alignment, nerve conduction, fluidity (blood-flow, lymph drainage, etc.) and efficiency in movement. Pain relief also tends to correlate with these improvements. To remodel the body from its current state, I manually treat the body and utilize neuromuscular re-education to train a person to maintain and/or continuously improve one’s structure. I strongly believe that the best outcome of treatment is with the participation of the client. Due to the nature of orthopedic problems, “treatment” should be done both in the clinic and outside of the clinic. I assess each client’s activities and environments to produce a program that he or she will be able to independently follow and continuously work on their own structure. The ultimate goal is to not only improve function and pain, but to also leave the client with skills to prevent the same problem(s) that they arrived at the clinic with. In “taking my own medicine,” I continuously look at how I can balance my life and maintain/improve my health. This is not only good for me, but educational in gaining perspective to better work with people from various backgrounds. My philosophy is to incorporate whole body treatments into my practice that allow me to apply both my science background as an Occupational Therapist, as well as my creative side to guide clients through their recovery. While specializing in hand and upper extremity conditions, it became apparent that focusing on one body part was only successful with a certain percentage of clients. Therefore, I assess the whole person and individualize treatment, and draw from a variety of skills. These include: emerging manual therapy, postural re-education, customized home exercise programs, ergonomics, Bowenwork®, and pain reduction strategies. Giving clients the tools to maintain the benefits achieved in therapy is also an integral part of my treatment philosophy. I have been practicing as an Occupational Therapist since 1999. I received my Bachelor of Science degree in Psychology from Roosevelt University in Chicago, IL and my Master’s in Occupational Therapy from Governor’s State University in IL. I also became a Certified Hand Therapist in 2005 and a Professional Bowenwork Practitioner in 2013. In my free time I enjoy hiking and mountain biking with my husband and dog Wrigley, getting out of the city in a tent or cabin and getting a peek at the local whales when I'm lucky. Oh and I'm a die hard Cubs fan (hence my dog’s name is Wrigley). 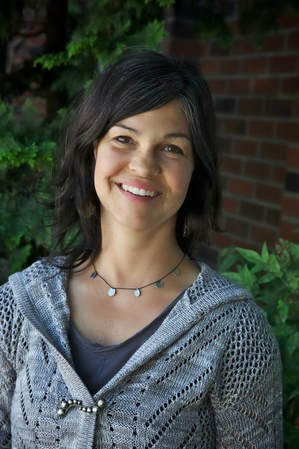 ​I am a 1996 graduate of University of WA's Occupational Therapy Program. Practice areas have included-in-patient rehabilitation for both physical and psychological disabilities, orthopedics, neurology, cardiology, and chronic pain. I have practiced in a variety of settings from local hospitals to skilled nursing facilities to out-patient clinics. I also developed a home practice where I saw clients for stress management and relaxation techniques. Community outreach has included creating and teaching "Well Body Mechanics to New Moms" classes, as well as providing Reiki to women in Adult Family Homes on hospice. My philosophy as a therapist is based in bridging western and eastern medicine practices in order to treat the whole person. 22 years of experience as a therapist has informed my blended perspective. Our emotions, how we think, what we eat, and how we move in our bodies all play crucial roles in how we feel. It is my goal to help clients identify areas that are out of balance to develop improved self-care routines at home to best support health, function, and well being. Postural assessment with an emphasis on fascia and its role in spinal alignment, our nervous system (specifically our sympathetic and parasympathetic branches), and our emotions are all key players in overall health and balance in our bodies. Guiding clients through touch, movement, and dialogue helps facilitate improved outcomes in recovery from various injuries. My husband and I have lived in the Seattle area for 31 years and enjoy raising our 2 boys in the PNW. Some favorite activities include gardening, hiking, and camping with our family. I have a background in dance, both Ballet and Modern, and have practiced yoga for 30+ years. Dancing, listening music, and supporting local art are also passions of mine. A true nature lover, I seek the outdoors any chance I can get, for paddle boarding in the summer and skiing in the winter. ​In 2007, I moved to Israel to study abroad for 3 years. It was there that I was introduced to a Rabbi who initiated me on the path of Holistic Health and Alternative Medicine. I received my Bachelor’s in Psychology from Touro College. I then enrolled in a Green Medicine: 4 month training in Herbalism Course at the Open Center in New York City. In 2017, I graduated with a dual degree of a Bachelors and Masters in the Science of Occupational Therapy. Since then, I have practiced as an OT in a variety of settings in Texas, California, Hawaii, and New York. This has allowed me to gain a unique perspective while treating a wide range of diagnoses. I was introduced to the practice of Yoga in 2014. I was instantly hooked and acquired my Yoga Teaching Certification from Pure Yoga in New York City. I have studied the lineages of Iyengar, Ashtanga, Restorative Yoga, and just recently spent 6 months in Hawaii studying Classical Hatha under my primary teacher. This has profoundly influenced me as an OT practitioner, often incorporating Yoga Therapy into my treatments. I strive to instill and empower my clients with the skills to heal themselves through proper breathing, posture, body mechanics, nutrition, positive thoughts, and relaxation. In my free time I enjoy playing and listening to music, exploring nature, being upside down, and traveling. I’m super excited to join the team at Holistic Orthopedics." I am a health nut that specializes in Marketing, Communications, and Event Production. I happily joined Molly and the Holistic Orthopedics team in the beginning of 2015 and have found kinship with their philosophy towards whole, balanced well being. Earlier, my work was in family development resources and education, producing over twenty full-scale events in a calendar year throughout the Greater Seattle Area. Prior to that I worked in the Renewable Energy Sector, executing Wind and Solar events throughout North America, Europe, Asia, India, and Australia. I can also make a mean cocktail and conduct unruly crowds with ease, thanks to my extensive bartending career in some of the trendiest bars, clubs, and music venues throughout Seattle. When I am not exploring the hidden corners of the world with my husband, I am traipsing around the city with our two kiddos and Boxer, or plucking produce from our urban garden. I am a future Masters in occupational therapy student that graduated in 2016 with a B.S. in Human Biology from Seattle Pacific University. I love learning about the full-body approach to rehabilitation therapy, and look forward to applying that knowledge to my future as a therapist. My goals at Holistic Orthopedics are to provide both therapists and patients with a comfortable, clean, and welcoming therapy environment. I am eager to learn and experience as much as I can. As part of the administrative team at Holistic Orthopedics, I truly love the patient interaction and the opportunity to be a part of people’s recovery process. In September, I am headed to the Masters of Occupational Therapy program at University of Puget Sound in Tacoma and am so excited! In my free time, I enjoy spending time with friends and family, cooking, c​amping, and taking day trips to new places. I'm so grateful to be a part of Holistic Orthopedics; it's truly a special place. I grew up in Japan in a small mountain town and moved to the States when I was nine. I graduated from the University of Washington with a Bachelor's of Psychology. Weeks after graduation I enrolled in the Baking and Pastry Certification program at Edmonds Community College, where I met my soon-to-be husband. I was a baker for 6 years before I decided to pursue a Master's degree in Occupational Therapy. The foundation of occupational therapy aligns with my innate need to connect with and encourage healing in others. At Holistic Orthopedics, I'm committed to creating a warm environment that facilitates healing as well as gaining knowledge from our wonderful therapists. There are three things that drive me in life; compassion, harboring a sense of community, and the pursuit of knowledge and I'm so lucky to be able to practice these things at Holistic Orthopedics. I am a Registered Dietitian and Licensed Esthetician. I obtained my Master of Science in Nutrition from Bastyr University and completed the esthetic training program at the Euro Institute of Skin Care. I founded Beauty Brains & Braun Nutrition to provide services ranging from nutrition counseling for clients who want to improve skin health to medical nutrition therapy for clients diagnosed with health conditions. I currently perform facials and other skin treatments at Nurture Skin. I am passionate about the connection between diet, digestion and skin wellness. 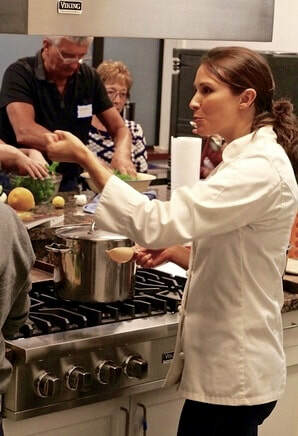 I co-teach the nutrition classes at Holistic Orthopedics with Molly. We emphasize anti-inflammation to maximize health and minimize pain or discomfort in the body. I believe there are many profound methods that contribute to healthy body mechanics. I explore and draw inspiration to improve my work through anatomy and kinesiology classes, advanced teacher trainings, and working in conjunction with physical and occupational therapists. The depth and breadth of my instruction is further enhanced by Heller work, Feldenkrais, facial release techniques, Bosu balance work, Barre classes, meditation, and yoga. Certified in 2005 through STOTT Pilates, I have a special affinity for those motivated to recover range of motion and strength due to lasting pain, illness or surgery, having overcome chronic back pain and sciatica myself. Personally, renewal and joy is found through many types of movement, including samba dance, tennis, cross country skiing, and hiking above the treeline. Using Pilates as the springboard, I intend to continue an active, engaged lifestyle for a very long while.